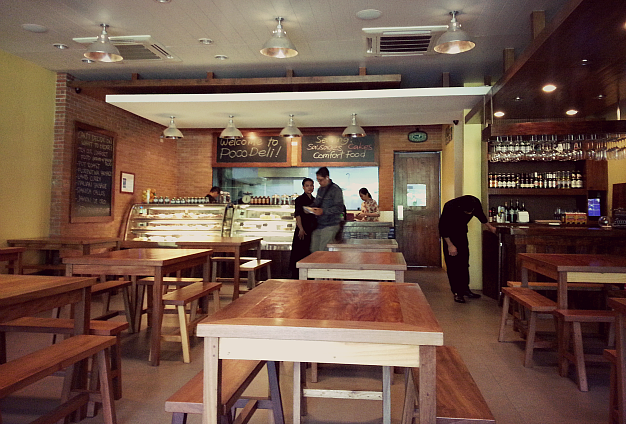 I must be living under a rock because I had no clue that another branch of Poco Deli opened in Makati. I am one clueless resident of Makati, I can tell you that. About a week ago, I was still in the office left with nothing to do but just count down the hours 'til I can finally go home. I saw photos on Instagram of 2 of my colleagues having breakfast in Poco Deli in Kapitolyo. 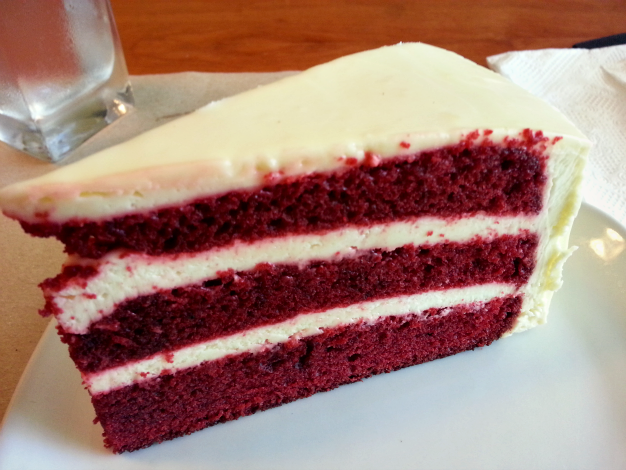 And that got me thinking of where I would have my breakfast, too, since I am in a low carb diet (LOL. Yes. For real. I already shed 2 kilos but let me discuss that in another post). 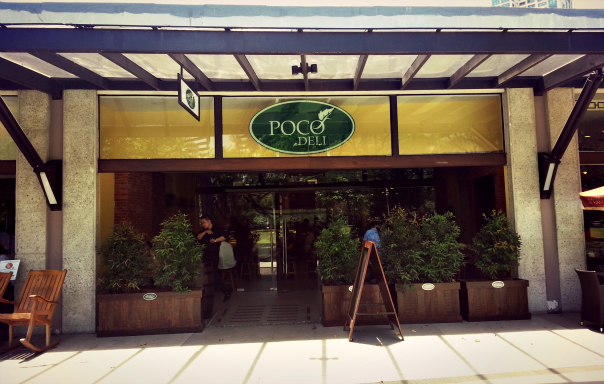 I ended up searching about Poco Deli then I found out that they had branch in Ayala Triangle! 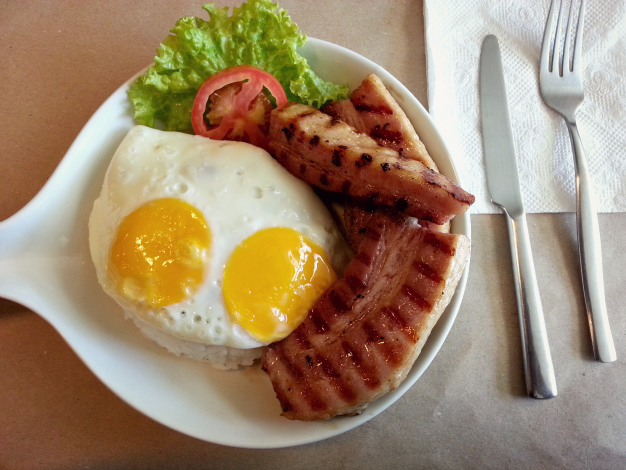 I think the only reason I got so interested with Poco Deli even before was their Bacon Slab. I've read reviews about the dish on other food blogs that made me really, really want to try it. And besides, it's bacon! What other reasons do you need? The first question that came to mind was, "What is a deli?" I admit I do not know what to expect or how a deli store in the Philippines should look like. The word deli came from the obsolete German word Delikatessen which meant "specially prepared ready-to-eat food" (such as cooked meats and prepared salads). (via) I automatically imagined those delis I see on movies with doors leading to those cold rooms where they store all the meat they sell. In the refrigerated glass display is where you can see their vast selection of sausages and cold cuts. The other glass display houses their desserts and elegant looking cakes. Right after I got off of work, I went to Ayala Triangle. Table for 1, please! I was greeted by plant boxes near the entrance so it already gave me an earthy vibe of the interior. 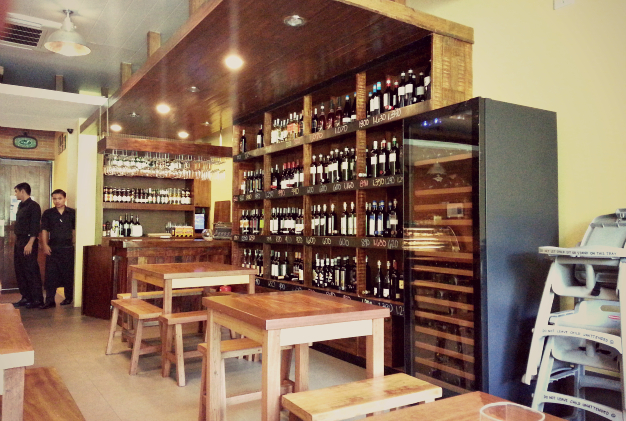 The inside's really cozy due to the red brick wall, wooden furniture and soft lighting. The wine-lined wall on the right which was encased in a sort of wooden shelf adds more oomph to the overall rustic aesthetic of the place. I was their first customer that day! After a quick inspection of their menu, I placed my order and waited for it to be served. Just the mere sight of this dish will give you a mini heart attack! On the plate were 3 pieces of inch-thick slabs of bacon (not the ones we buy at supermarkets) that appeared to be chargrilled. The slabs were paired with a hefty serving of rice with fried bits of bacon on top, and on top of that were 2 sunny side up eggs. A slice of tomato and lettuce were the sides of the dish. Poco Deli certainly did not fail me with how juicy, tender and tasty those slabs were! I was quite overwhelmed at first (hahaha) but managed to get through 2 slabs by slicing them in bite size pieces. Each bite was the taste of well seasoned and delicious pork slab. Though I didn't eat the rice, I was already quite full after eating 2 pieces of the bacon. It was indeed heavy and filling. I commend their staff, too! They were all very friendly and attends to your needs ultra fast. Though the place was packed by lunch time, they never fail to refill your water and ask if there's anything more you need. Poco Deli is a favorite in Kapitolyo because of their delicious comfort food, gourmet sandwiches and great sausages, and I hope that goes the same for their branch here in Makati. Quality food at reasonable prices! 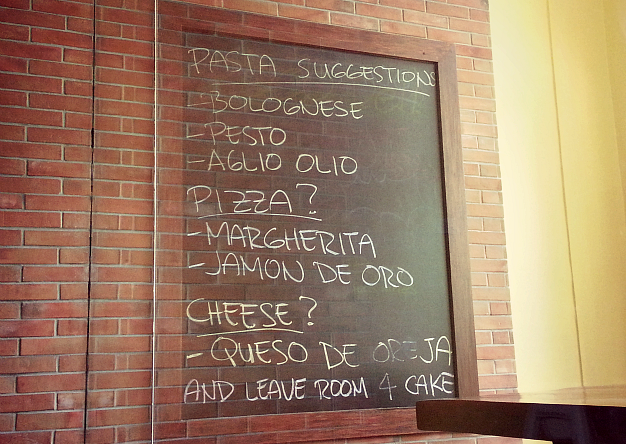 I will definitely come back to try the other items on their menu! You're making me hungry. I've never heard of this place before but since it's located in Kapitolyo, I'll probably urge my boyfriend that we drop by once I'm back in Manila. Thanks for sharing!